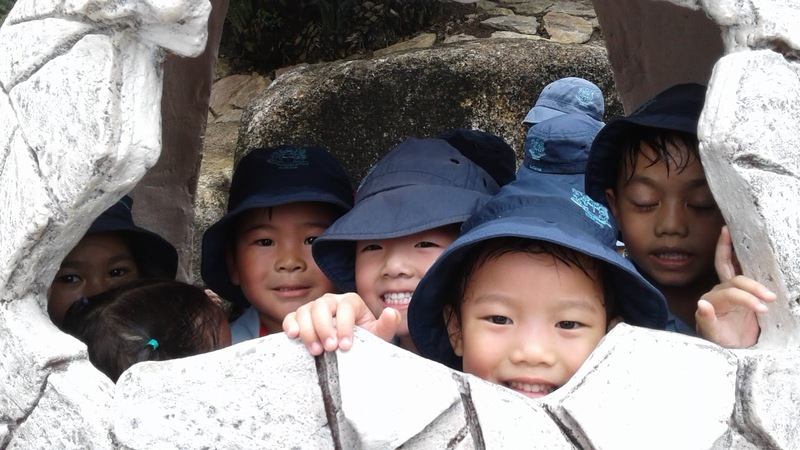 Our last field trip for the year to Dinosaur Valley. 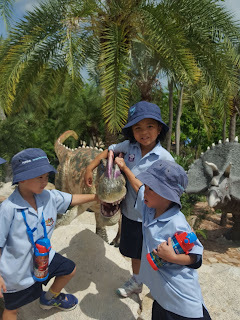 The passion project for several of our children this year has been Dinosaurs. 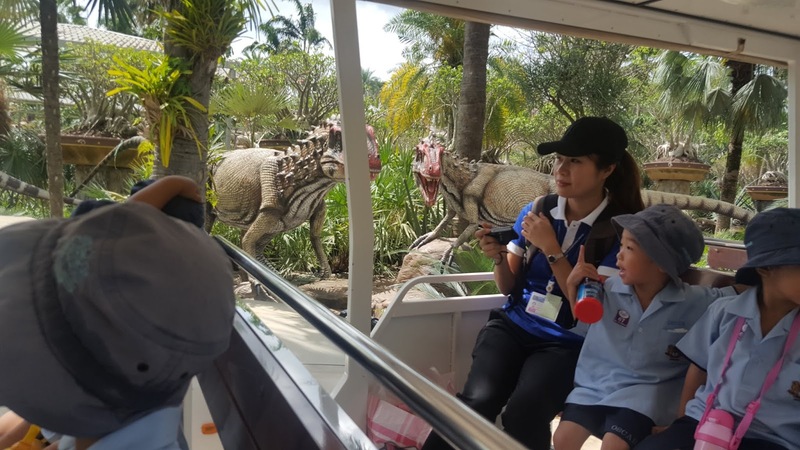 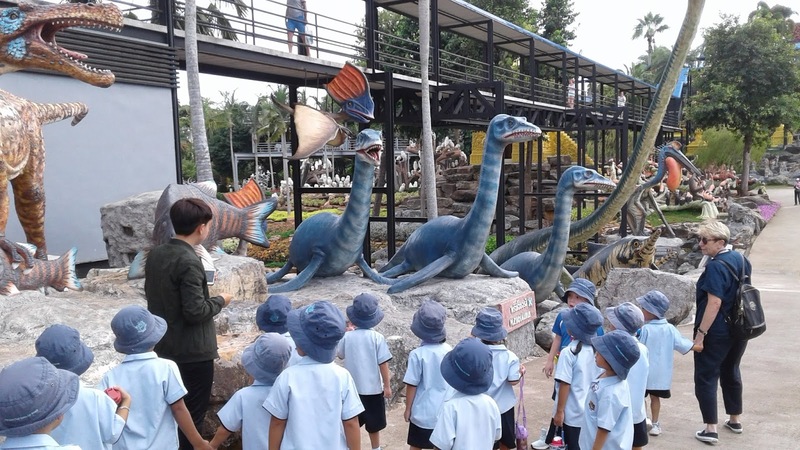 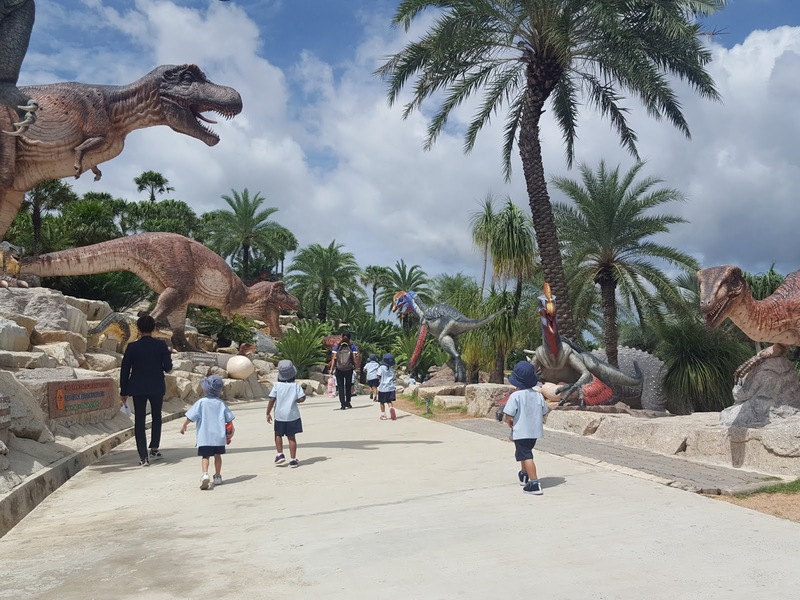 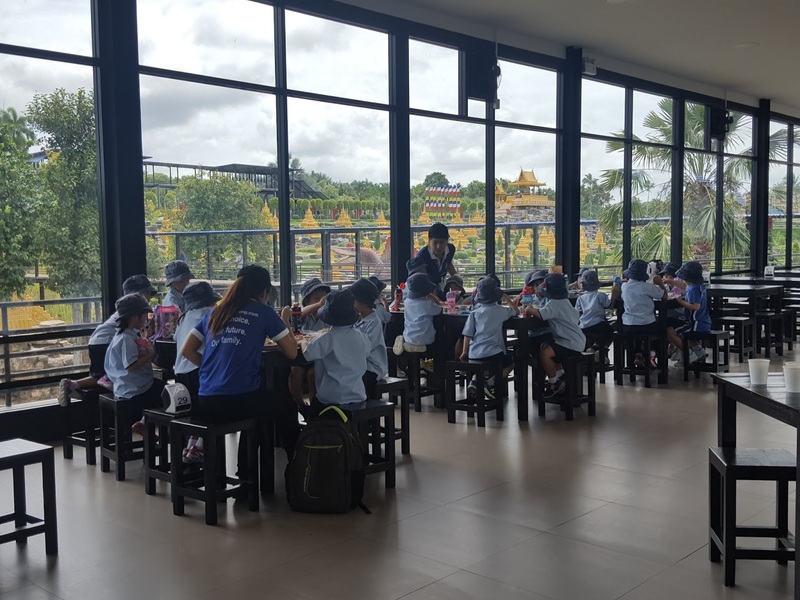 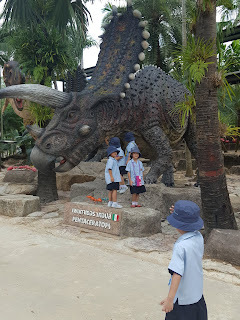 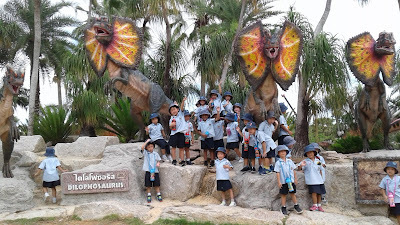 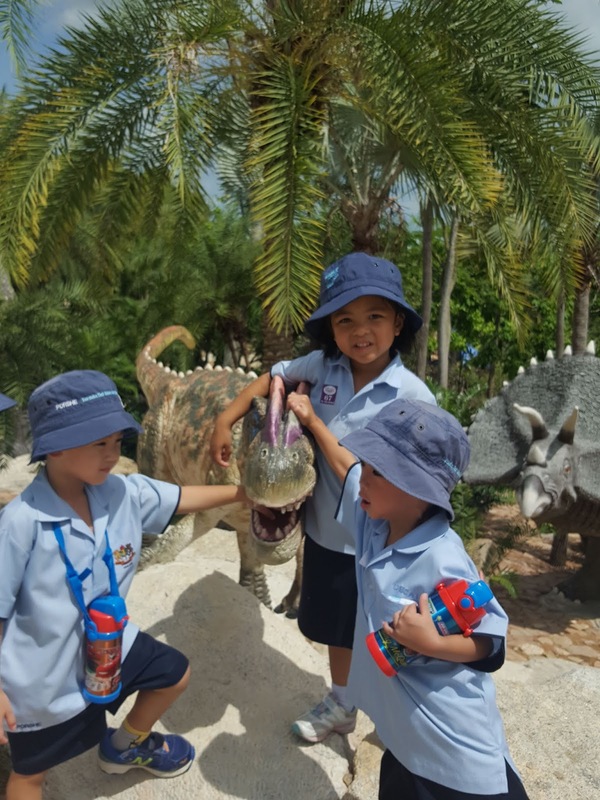 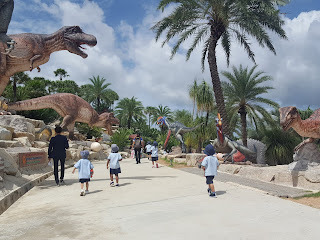 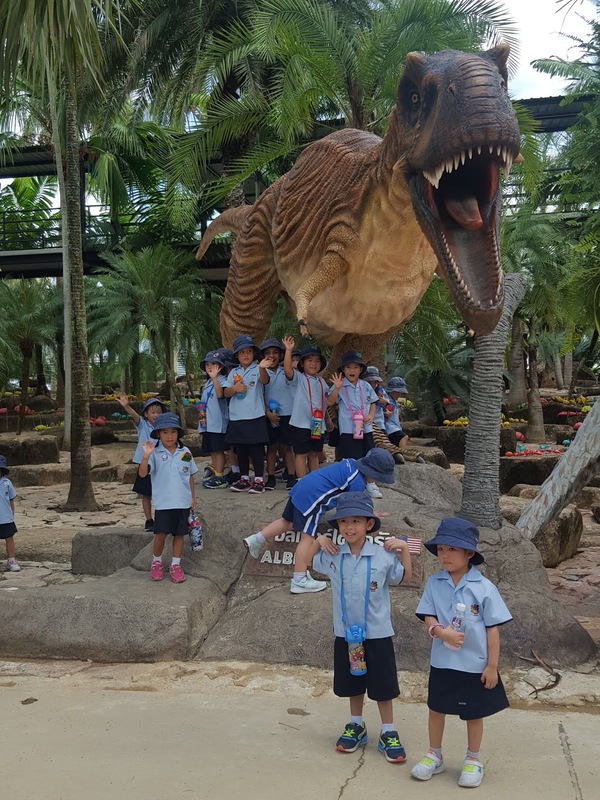 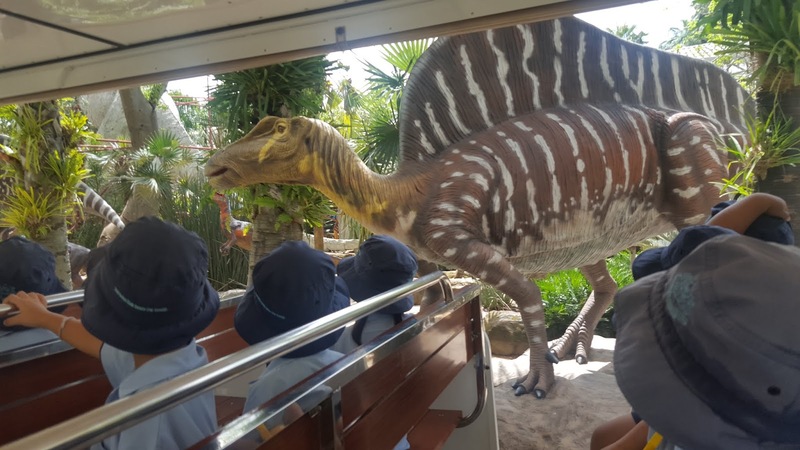 We took the opportunity to enhance their learning experience by taking them on a field trip to the newly developed Dinosaur Valley at Nong Nooch Gardens. 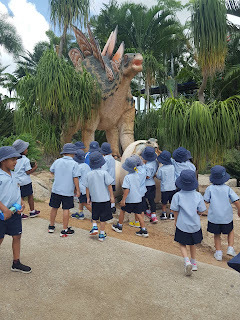 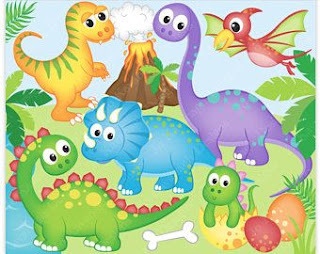 There were so many dinosaurs at the park it was hard to know where to look first. It was hard to miss the Brachiosaurus statues that were like all the other dinosaurs life size. We went around the valley on a bus and then got out and walked around. 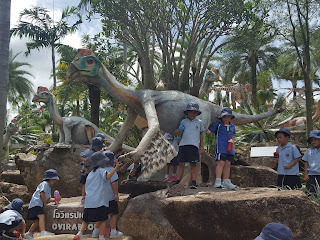 We were able to touch and walk around the statues that even had eggs and babies in many cases. 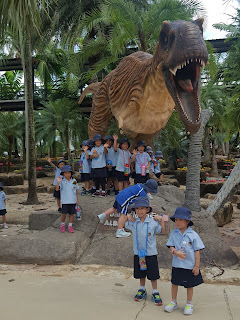 The children were fascinated with them. 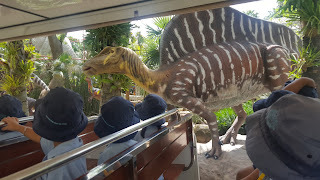 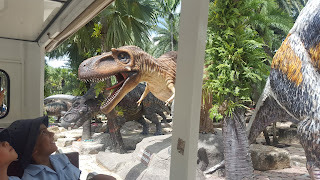 We were able to eat inside in a very nice airconditioned building with a great view that the children enjoyed after walking around seeing the dinosaurs both big and small.